The events listed below were held as part of the program of events presented by the Lawrence Wilson Art Gallery during 2016 in collaboration with partners. What is it possible to map? Perhaps your own home, your family’s garden, or your local park? Maybe your own town, country or even the sky? Drop in and join local artist Sharyn Egan to explore your imagination, experiment with map- making skills and create your own maps. All materials are provided. Registrations aren’t required, but as workshop spaces are limited to 20 at any one time you may need to wait for others to finish. For over 20,000 years people have been harvesting the large and lustrous shell of the Pinctada maxima pearl oyster from along WA’s northern shores. Broome-based anthropologist and curator Sarah Yu’s research has contributed to a wider understanding of the role of Aboriginal and Asian people in pearling history. Join her as she discusses some of the wider cultural and economic threads of the pearling tradition and their relationship to Saltwater Country. This event is in accompaniment to the exhibition Saltwater Mapping. Artsource and UWA Cultural Precinct present Art Cargo - a new symposium examining trends in visual arts here in WA and how travelling and the trading of art and ideas influence local practice. It follows where The Undiscovered: A National Focus on Western Australian Art left off in 2014. How did past travel and trade shape the identity of art in Western Australia? Does WA art have affinities with art in other cultures and communities? Are these links potentially stronger than those with the rest of Australia? At Art Cargo you can join leading local artists and thinkers in discussing and debating some of the big questions relevant to art in our state. 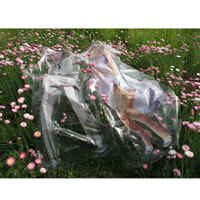 Find out more about Art Cargo. 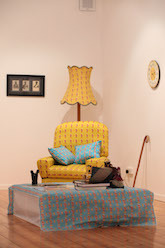 Image: Maggie Baxter, documentation from Unfolding: Contemporary Indian Textiles exhibition. 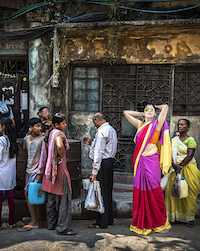 Hand woven cotton Telia sari by Bappaditya and Rumi Biswas. Photographed on location in Kolkatta by Leena Kejriwal. Culture Club is our semi-regular art party at LWAG for UWA students. Enjoy a free sundowner, make your own art and join an exclusive tour of the gallery’s current exhibitions of contemporary art. Presented in partnership with the Friends of the Lawrence Wilson Art Gallery. 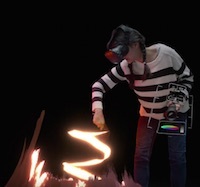 Image: Google Tilt Brush media image. This event is made possible by generous support from the UWA Alumni Fund Grant with digital and technical assistance from Jonathan Knispel (AVRL & iVEC/Pawsey at UWA) and Aaron Collyer (UWA Digital and Creative Services). Take a more contemplative approach to art when you join us for a gallery tour with a difference at Going Slow: The Art of Observation. Much like a mindfulness exercise, where you focus on your breathing, in this case you allow your mind to settle on contemporary works of art, followed by an informal discussion on participants’ subjective observations. This event is presented by the Lawrence Wilson Art Gallery in partnership with UWA Health and Wellbeing as part of the 2016 Mental Health Week. LIMITED SPOTS available - register to attend! 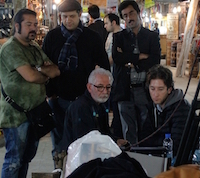 Hossein Valamanesh’s video installation, made in collaboration with his son Nassiem, simultaneously depicts all four directions of the main intersection, or ‘char soo’, of a grand bazaar in the city of Arak, Iran. 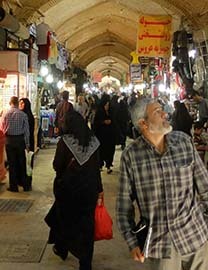 Surrounded by four massive projections, the viewer is placed in the center of the bazaar and enveloped by its sights and sounds. Join Hossein and Nassiem Valamanesh as they share their ideas and experiences making this incredibly immersive work. This event accompanies the exhibition Char Soo on show at LWAG from 8 October - 10 December 2016. 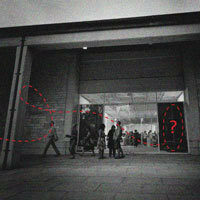 Join us at LWAG for the opening of three new exhibitions. Kelly Doley: Things Learnt About Feminism: Ninty-five hand-painted posters about feminism now. Presented by the Cruthers Collection of Women's Art. Artwork:Hossein Valamanesh, Char Soo, 2014 pre-production stillcourtesy the artist and GAG Projects, Adelaide. Photograph by M Reza Jahanpanah© Hossein Valamanesh/Licensed by Viscopy, 2014. 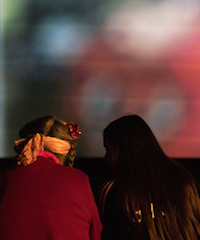 Join us for an engaging tour of Miriam Stannage: Survey 2006 - 2016 designed to connect participants living with dementia in a shared exploration of art through personal insights, emerging interpretations and memories. The tour features works by renowned senior Western Australian artist Miriam Stannage's characteristically wry observations of life, and testifies to her ongoing experimentation and innovation across a range of media. Join us for the Audio Described Tour of Miriam Stannage: Survey 2006 – 2016 featuring renowned senior Western Australian artist Miriam Stannage’s characteristically wry observations of life, and testifies to her ongoing experimentation and innovation across a range of media. Audio Description enhances live performance and visual art for people who are blind or vision impaired. An Audio Describer delivers a verbal description of the visual elements via a personal headset. There are also tactile elements available in this exhibition tour. 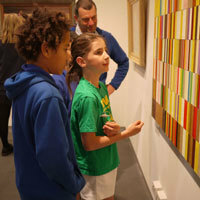 Rosalie Primary students have selected six diverse artworks - including favourites Guy Grey-Smith, Blackboy grove; Joy Hester, Girl in corner; and Siné MacPherson, Banksia flower colours - from the UWA Art Collection and Cruthers Collection of Women’s Art for close examination and discussion. View the special one-day-only exhibition, read the student descriptive labels and listen as they elaborate on the selection in associated floor talks in front of the works. This event is part of the 2016 UWA Research Week series of events taking place across UWA. Community Partner: Rosalie Primary School. Artist Miriam Stannage was an innovator in film; acting in other’s films and creating her own. In this event, Lee Kinsella, the curator of Miriam Stannage: Survey 2006-2016, will introduce several short films including Bill Hawthorn’s The Tunnel People (c.1975) and Llanarchymaeth (c.1973); and Stannage’s own The great debate – ventriloquist (1996). Join us at the Lawrence Wilson Art Gallery and Let’s Talk Shop with local WA textile designer, Pauline Franklyn, who will shed light on her practice. Utilising various techniques as collage, nuno and resist, Pauline brings together fabric and fibre to produce beautiful, painterly works. Pauline’s work will also be available to purchase in store at this event. Writer and editor Peter Bibby was founding editor of Broome’s Magabala Books, when they first published Yorro Yorro by David Mowaljarlai and Jutta Malnic in 1993. He has recorded and published experiences of travelling to country with Mowaljarlai and with other senior Aboriginal people in the Kimberley and Kakadu, and recorded and published their stories. Dr Richard Walley OAM is a leading Aboriginal performer, visual artist, writer, educator and cultural leader. His incredibly diverse life, contributions and achievements have led to many awards and recognition nationally and internationally. He is committed to delivering cultural awareness and learning programs across community, business and government sectors and is an advisor and consultant to several agencies, including UWA. Join both Peter Bibby and Richard Walley in conversation as they share their experiences and insights about the place of story telling in sustaining and documenting Aboriginal culture. This event forms part of the public program accompanying the exhibition Mowaljarlai Vision and Voice, on show until 17 September 2016. 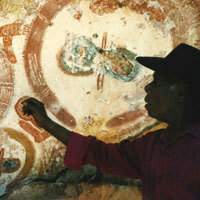 Image: David Mowaljarlai at Wandjina site, Bush University 1996. Photo by Susanna Lobez, 1996. The estate of David Mowaljarlai, held at the Berndt Museum, UWA. Many generations of surveillance have passed since the introduction of CCTV, which now seems almost innocuous in comparison to newer technologies. Dr David Glance, the Director of the Centre for Software Practice at UWA has been a keen commentator and observer of the interface between technology, people and society and is a regular contributor to The Conversation. Listen to his observations and concerns, and join the conversation about the ambiguity of tracking and privacy as technological options diversify and are embedded in our lives. Campus Partner: Centre for Software Practice. 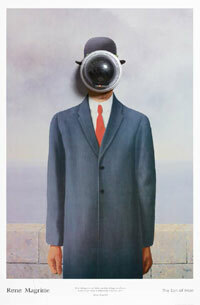 A piece of art has mysteriously gone missing from the Lawrence Wilson Art Gallery. 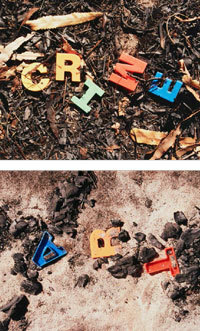 Gather clues from around the UWA campus and see if you can successfully identify the perpetrator of this terrible crime. Register at the gallery on the day or any of the other Hypothetical Art Heist locations (keep an eye out for friendly students from the Faculty of Law) where you will find clues and details of the event. Pursue the all the clues at marked locations about the campus. Win a prize if you have solved the mystery. Watch the mock trial conducted by the Blackstone Society law students at the University Club auditorium as the perpetrator is brought to justice. Will he or she be found guilty? Venue: Meet at Lawrence Wilson Art Gallery or at various locations on campus (keep an eye out for Faculty of Law students handing out information). 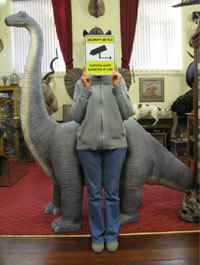 Image: Art Heist at LWAG. Lee Kinsella has curated and managed exhibitions at Australian state and national public institutions, and has published writing on Australian art and artists. She has recently edited the monograph Miriam Stannage: Time Framed which examines Stannage’s 50 year practice. 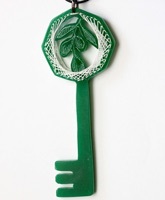 Join Lee Kinsella as she discusses her research and the exhibition of Stannage’s most recent work. Join leading academic and curator of Australian photographic history Professor Helen Ennis, with curator Lee Kinsella in a discussion and tour of the exhibition Miriam Stannage: Survey 2006 - 2016. 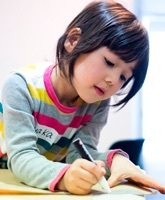 Leave your child in a safe and friendly environment and let the artist inside come out to play. They will explore abstraction using colour, shapes and forms in an art workshop led by local artist Fiona Willis. 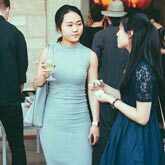 The WA Medical Students Society (WAMSS) elective photographic exhibition captures the art of medicine and gives insight into medicine in different parts of the developing and developed world. It highlights the global health issues that we all face ahead of us in the future. Learn the stories behind the winners of the two major prizes – the WAMSS Elective Photography Prize and the People’s Choice Prize. 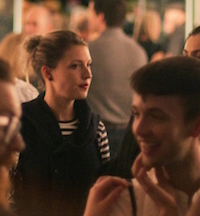 An 'emerging curator' confronts many situations. Join local curators Gemma Weston, Dr Laetitia Wilson, Eve Chaloupka and Erin Coates, whose own experiences reveal some of the diverse challenges and interpretations of the role and responsibilities of a “curator” in the current WA scene. Co-chaired by Ron Bradfield Jnr and Dr Janice Lally. In partnership with Artsource. Image: HERE&NOW15, exhibition opening at the Lawrence Wilson Art Gallery. Art and literature are spaces in which both the Muslim minorities and the majority communities engage in exclusion and inclusion at various levels, individually, as communities, and through government funded programs and publications. Professor Samina Yasmeen, Director of the Centre for Muslim States and Societies at the University of Western Australia will discuss how these tendencies span geographical, ethnic and gender divides. Aboriginal director Wayne Barker takes the viewer on a cultural exploration through three regions of the Kimberley, the coast, the rivers and tablelands, and the desert. 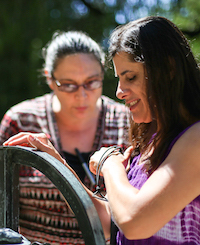 Key storytellers share histories and messages of identity. Against a majestic rock gallery of Wandjina images, David Mowaljarlai tells the Dreaming story of one Wandjina ancestor. His passionate work in maintaining the Law and commitment to today’s youth is revealed through story and song. Refreshments will be provided. Thanks to our Campus Partner: School of Indigenous Studies. 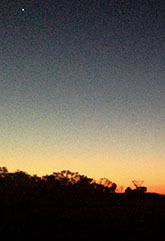 Image: Sunset at Kimberley. Photo by Lawrence Wilson Art Gallery. Respected educationalist Erin Knight will introduce and expand on the themes in this exhibition that offer a firsthand look at being young and Muslim in modern Australia. 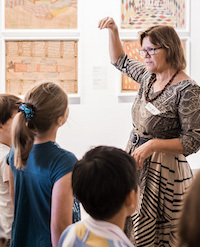 This event will include a discussion of practical links for art teachers to the new K-10 Western Australian Curriculum, General and ATAR course. Take part in a discussion on the interchanges between notions of contemporary, modern Islamic and Muslim art in light of what may be considered new wave Muslim art. Consider the contradictions, expectations and inconsistencies including issues of sexuality and gender concerns against a background of politico-strategic developments in Muslim states and other societies. Speakers include Abdul Abdullah, Abdul-Rahman Abdullah, Idil Abdullahi, Fatima Mawas, Rubaba Haider and Nadia Faragaab; exhibition curator Hamida Novakovich; art historian and Art Gallery of Western Australia Director, Dr Stefano Carboni; academic Professor Samina Yasmeen; Dr Darren Jorgensen, Rusaila Bazlamit and Mustafa Al Mahdi. This event is made possible via our Campus Partnership with the Centre for Muslim States and Societies. 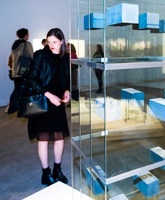 Image: Exhibition opening, DeMonstrable (2015), Lawrence Wilson Art Gallery. 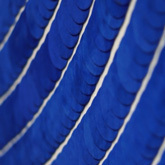 Curated by Gemma Weston, this exhibition explores contact and colonisation with the Cruthers Collection of Women's Art. Join us for the opening of this exhibition on Friday 29 April, along with the opening of HERE&NOW16/GenYM. 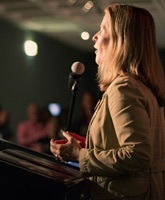 Julie Gough is an acclaimed artist, writer and curator, participating in over 120 exhibitions since 1994. Collisions features works by Gough that examine points of contact between Australian Indigenous heritage and colonial history, often drawing from her own and her family’s experiences as Tasmanian Aboriginal people. 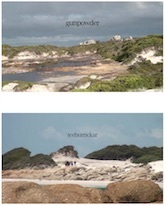 (Top) Julie Gough, Observance (video still) - gunpowder, 2011-12, HDMI video projection 9:16, colour, sounds, 17:09 mins, CCWA 920. (Bottom) Julie Gough, Observance (video still) - teeburickar, 2011-12, HDMI video projection 9:16, colour, sounds, 17:09 mins, CCWA 920. Join us for the opening of HERE&NOW16/GenYM curated by Hamida Novakovich. Presenting nine contemporary artists whose work is tied together by their diverse experiences of growing up Muslim in Australia. Artists: Abdul Abdullah, Abdul-Rahman Abdullah, Fatima Mawas, Idil Abdullahi, Marziya Mohammedali, Nadia Faragaab, Rubaba Haider, Suzi Elhafez and Zahrah Habibullah. Join us for the opening of the new Berndt Museum exhibition, honouring the life and legacy of lawman, philosopher, artist, activist, storyteller, bush professor, and statesman, David Mowaljarlai. Curated by Eve Chaloupka, the exhibition will be opened by Vanessa Russ, Associate Director of the Berndt Museum. 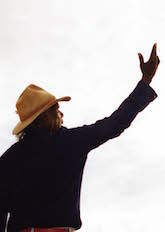 Ngarinyin Lawman Bungal (David) Mowaljarlai, OAM (c.1925-1997) was an artist, philosopher and distinguished advocate for the land rights and culture of the Kimberley Wandjina peoples. Through images and sound, the exhibition will introduce audiences to Mowaljarlai?s gift to the world - his extraordinary commitment to communicate with the younger generation across cultures. Join us for a unique tour experience at the Lawrence Wilson Art Gallery. When you consider that on average, a visitor at an art gallery spends mere seconds looking at an artwork, this tour encourages a more contemplative approach to art. Much like a mindfulness exercise where your mind settles on the breath, in this case, we settle on contemporary works from the exhibition Bharti Kher: In Her Own Language. This event is part of Slow Art Day, an international volunteer-run event celebrated in over 130 venues on the 9 of April 2016 with a simple mission of helping more people discover for themselves the joy or looking at and loving art. Image: Bharti Kher, VIRUS VI (detail). Complementing the themes in Bharti Kher: In Her Own Language, Sana Bharadwaj, PhD Candidate in Linguistics who was herself born in the Indian State of Maharashtra, will reflect on how language, culture and identity interact in the sociolinguistics of the Indian diaspora in Australia. This is a Campus Partnership event, introduced by Dr Celeste Rodríguez Louro, Lecturer in Linguistics at UWA. More information about the speaker and event. 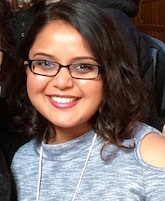 Image: Sana Bharadwaj, PhD Candidate in Linguistics. Exclusively for UWA students, Culture Club is our semi-regular art party at LWAG. 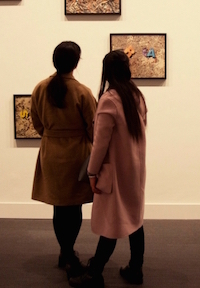 Get to know your university art gallery and enjoy free refreshments, music and a chance to get a close look at internationally acclaimed artist Bharti Kher’s first Australian exhibition. There are also tours, prizes and art-making activities. Explore the fascinating connections between diverse objects and their cultures of origin, including Aboriginal Australia, Indonesia, Malaysia, Thailand, Papua New Guinea and Nepal. In this one- off tour, the curators behind Interwoven will guide you through the exhibition and discuss the meaning and importance of each work, all individually selected from the Berndt Museum Collection. 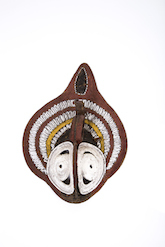 Image: Image: Yam mask, woven cane with ochres. Middle Sepik , Papua New Guinea. Anderson, J Collection. Berndt Museum. [Acc. No. 358]. Visitors who are blind or with a visual impairment can explore the passionate work of Bharti Kher: In Her Own Language through an Audio Described tour. Audio Described tours are in specific-format tour where a narrator guides a small group of visitors through an exhibition, describing out loud the works on display within the exhibition. This tour is part of the gallery's new Access Program made possible via a partnership with DADAA, a not-for-profit dedicated to supporting people with disability in accessing the arts. Discover more about the art of Bharti Kher, whose elegant yet diverse work stems from the pulse of her New Delhi studio, as exhibition curator Margaret Moore takes you on an exclusive tour of Bharti Kher: In Her Own Language. Presented as part of the Perth International Arts Festival. Refreshments will be provided. Internationally acclaimed artist Bharti Kher presents an illustrated talk on her art, offering personal insights into what has informed her compelling creative language and imagery. Presented in partnership with the Perth International Arts Festival as part of the Perth Writers Festival. Join us for the opening of our first exhibition for 2016, Bharti Kher: In Her Own Language, presented as part of the Perth International Arts Festival. The exhibition will be opened by novellist and social commentator, Jane Caro. Born in the UK in 1969 to Indian parents, Bharti Kher moved to live in India after completing art school. 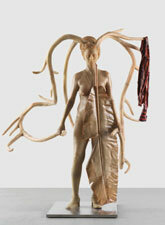 She has resided in New Delhi since, creating artwork that explores themes of culture, mythology and narrative. Her distinctive signature application of saris, bindis (the forehead decoration worn by women throughout South Asia) and figurative sculptures will be on display in a selected exhibition. In her first solo exhibition in Australia, internationally acclaimed artist Bharti Kher offers a window into her richly textured practice. This event also coincides with the exhibition opening of INTERWOVEN from the Berndt Museum Collection. Find out more about the upcoming exhibitions at the gallery.